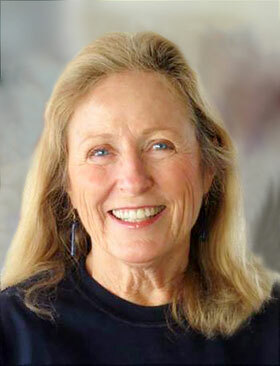 Joan Wink is a professor emerita of California State University, Stanislaus. In addition, Joan has been an adjunct professor at Black Hills State University, South Dakota State University, and The College of New Jersey in Mallorca, Spain. Joan began a six-year term to the South Dakota Board of Regents in April 2017. Throughout her career, she has focused on languages, literacy, and learning in pluralistic contexts. Dr. Wink completed her Ph. D. in Curriculum and Instruction (Texas A&M, 1991); two masters’ degrees from the University of Arizona (Spanish, 1981; Educational Foundations/Bilingual, 1985); and a Spanish and English undergraduate degree from Yankton College, SD, 1966. During her experiences in K-12 public education, Joan taught Spanish, English, reading, language arts in junior and senior high school in Pennsylvania, Arizona, Texas, and California. She directed federal grants and was the bilingual/ESL/migrant education coordinator in CA. Joan continues consulting, writing, and speaking nationally and internationally. Joan maintains an active website (joanwink.com) and a blog, WinkWorld, (http://www.joanwink.com/wink-world/). She has published widely in scholarly journals and is the author of Critical Pedagogy: Notes from the Real World (4 editions), A Vision of Vygotsky with LeAnn Putney, and Teaching Passionately: What’s Love Got to Do with It? with Dawn Wink. Joan’s most recent book, The Power of Story, links libraries and literacies through the power of story, both oral and written. Libraries Unlimited/ABCLIO published this book in 2018. Read Joan’s more complete vita. You can also see Joan’s travel schedule.